T here really isn't enough room on this site to tell the story of Birley and its people, but as this site celebrates all that we set out to do and be, we cannot ignore those early leaders. Ernest McDonnell was the first Head, appointed in 1967 he believed that "The standards we achieve, are those we are willing to accept" and that every student should have the chance to fulfil their potential and build self esteem. Leading from the front with standards, values and vision, Ernie was awarded the OBE in 1973 for his services to Education. Sadly, following a long illness, he lost his fight against cancer and died in 1974. Ernie McDonnell came to Birley from his past headship at Barlow Hall in Chorlton. He was Mancunian through and through, born in Gorton and educated at St Bede's. He served his country as a Warrant Officer. He was a great sportsman and loved music. He also had great faith. I can't finish this section however without mentioning Isabelle Gleave. Keller House Master and teacher of science, loyal throughout and my greatest inspiration. Isabelle knew the school and eduaction in Manchester like no other. 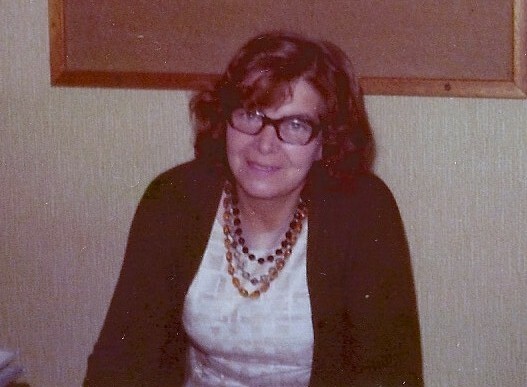 She came to Birley with Ernie, from Barlow Hall in 1967 and following her retirement was completing a pHD (largely about Birley) at Manchester University just prior to her untimely death in June 2003. Isabelle has provided much of the information contained on this site and I hope to complete a summary of the school's story for the next reunion - in her name and with her family's permission. I was priviliged to speak at Isabelle's funeral in 2003 and hope I can emulate her standards and loyalty in all I do.